The Original Hike And Shoot Match. The Steel Safari is the archetypal "hike-and-shoot" long-range rifle match. It tests a wide spectrum of skills involved in getting to a shooting location, identifying targets, and engaging long-range rifle targets with only one shot each. Some of these skills include target recognition, ranging, wind doping, ballistic data management, marksmanship under field conditions, non-standard shooting positions, rudimentary trail skills. target distances 100-1200 yards, most within 250-700 yards. Mandatory check-in by Thursday at 1800. Rifle: Any 243/6mm up to 300 Winchester Magnum. 3200fps limit. The Steel Safari is one of the best true field/practical long-range rifle matches in the world. It's been going on since 1998 and we've been running it since 2008. 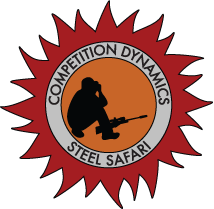 The Steel Safari is one of four core matches of the Competition Dynamics season, and we continue to develop new match concepts. The Steel Safari may be the longest running match of its type. The Steel Safari has helped to shape the concept of what field shooting means and helped to forge the strong tradition of practical shooting that runs deep in the Rocky Mountain shooting community. An average competitor will be able to make hits on targets at random distance out to 1000 yards on his home known-distance (K.D.) range and will have some experience with shooting positions other than prone. He has no problem walking 3-4 miles a day on uneven terrain at 90-105 degrees. The winning competitor will be able to locate steel targets scattered out in natural terrain with ease, usually without using magnified optics. The data for his rifle will be dead on at every range out to 1200 yards. He will have a lot of expertise determining the most stable and efficient shooting position to use when confronted with an awkward field shooting problem. He will have excellent efficiency of motion. Congratulations to all competitors in the 2017 STEEL SAFARI! The STEEL SAFARI is the longest running field-style practical long-range rifle shooting match (that we know of). 2017 also marks the tenth year we’ve run this match since Dave Wheeler gave the reigns over to us. Succeeding at the STEEL SAFARI requires an exceptional level of commitment to the science and art of practical rifle shooting. Just showing up is a significant achievement. Attendance has been increasing year over year and this year was the largest match to date. Our goal is to create and run the best events. Please email us with feedback on how you think we can make our future events better. 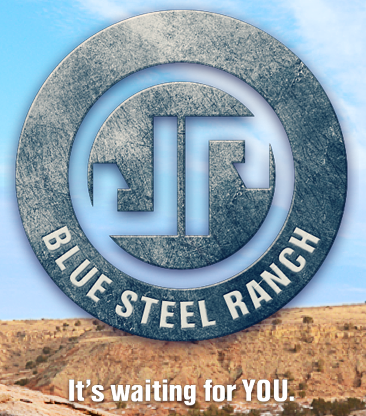 Thanks to John Paul of JP Enterprises, the new owner of the Blue Steel Ranch. Thanks to the staff: Jimmy Holdsworth, Casey Schrader, Stan Sanchez, Rollie Leighton, Scott Trowbridge, and Scot Hill (Hill People Gear). Also, thanks to our sponsors: AA Targets, Burris Optics, Falkor Defense, Machinegun Tours, Mile High Shooting Accessories, TBAC, Bison Tactical, JP Enterprises, Swagger, US Optics, LA Sportiva, Nightforce, Proof Research, XS Sights, ZEV Technologies, 303 Arms, AttackPAK, Kifaru, Lapua, Nosler, Sierra, Tactical Brass Recovery, The Tactical Medic, Hill People Gear. 3. Binoculars for acting as RO. Round count will be no more than 170 in the match. Any competitors who are registered but have not had their entry acknowledged as “PAID” by 5/26/2017 need to bring payment to match check-in in the form of cash or a check. Staff will be heading down Tuesday for final setup. Thus, we will have limited communication between now and match check-in on site. The best way to get a hold of the match director will be email or to leave a voicemail. We will check messages in the evening. This year will be the biggest Steel Safari ever! Each year we’ve been letting in a few more competitors and the timing has more or less stayed on track. What this means, though, is that it’s even more critical to not waste time while on the course– that means no idle chit-chat before or after shooting a stage. The front range will be open to competitors for zero check / sight-in Thursday from 1:00 PM until 5:00 PM. Mandatory check-in/sign-in will be held during this time. All competitors must be checked-in by 5:00 PM. We will have a tech inspection during check-in. At 5:00 PM, there will be a mandatory shooters’ meeting at the front range. For directions, please refer to this map, Map to BSR. Park only in the new parking lot located to the west of the main front range shooting area. The range will be closed the week of the match, until 1:00 PM Thursday. USPSA safety rules are the baseline for safety at this match. The Match Director has the right to disqualify any competitor for Unsportsmanlike Conduct based on his judgement. Competitors shall practice good muzzle control and firearm safety at all times. Competitors that do not handle their weapons safely will be disqualified from competing further in the match with no refund of match fees. Do not ever allow the muzzle of your weapons to point at anyone. 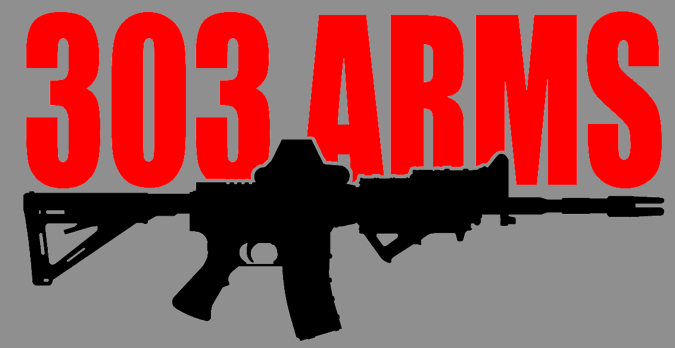 Do not load your weapons until directed to do so by a range officer. Do not put your finger on the trigger until your sights are aligned with your target. Obey all Range Officer commands immediately. In addition to the USPSA definition of an Accidental Discharge, the stage RO may call an A.D. using his own judgement, e.g. : if the competitor was clearly not engaging a target. 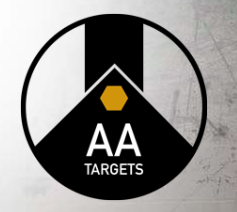 Any round that does not impact within 10 yards of the target the competitor is engaging, or impacts in an unsafe area or direction, is declared to be an AD. The entire competition area is a "cold range." Long-guns shall be kept unloaded in cases or on a designated rack, and carried muzzle up or muzzle down and the action open. "Sweeping" any person with a weapon's muzzle will result in immediate D.Q. Any firearm or ammunition deemed by any RO or match staff to be "unsafe" for any reason may not be used in the match until a determination is made by the match director that it may continue. All firearms must be able to be completely unloaded without firing a round. Any firearm that can be demonstrated by any RO or match staff to have a hammer/striker that will fall without the trigger being pressed shall be deemed unsafe and may not be used in the match until repaired. Any rifle slung must have an empty chamber, unless directed by the stage RO. No person shall consume or be under the influence of alcohol or non-prescription drugs at the match site. Any person found to be impaired and unsafe as a result of legitimate prescription drugs may be directed to stop shooting and requested to leave the range. Safety glasses and ear protection are required to be worn/used at all times by competitors and spectators when in the vicinity of any weapons being fired. No person shall place a rifle in such a position that it points at any other person. Find a safe direction if you need to set your rifle down! If you find out there are people passing or downrange, wait until they are clear and then relocate your rifle. This match may include dynamic shooting in natural terrain. Match staff will communicate what are safe directions to point firearms while shooting, or while waiting. This will typically be presented during a stage or match briefing. The competitor shall note and obey the safe muzzle direction guidelines. Ammunition must not cause unusual target damage or cause a fire or other safety risk. Ammunition that must be "fired" to be unloaded once chambered is declared to be unsafe and may not be used in this match. While shooting a stage, the action may only be closed and the safety off when the rifle is aimed at the target array, and between the two left/right lateral limit flags. Rifles shall be loaded only upon the command of an RO. Rifles shall remain unloaded at all other times (no magazine present). Rifles may be carried between stages with the bolt forward (to prevent a lost bolt) provided it is unloaded and no magazine is in the rifle. Rifles shall only be carried muzzle up or muzzle down. Horizontal carry of the rifle is prohibited. Any time the rifle is set down on the ground, it must be pointed in a safe direction. 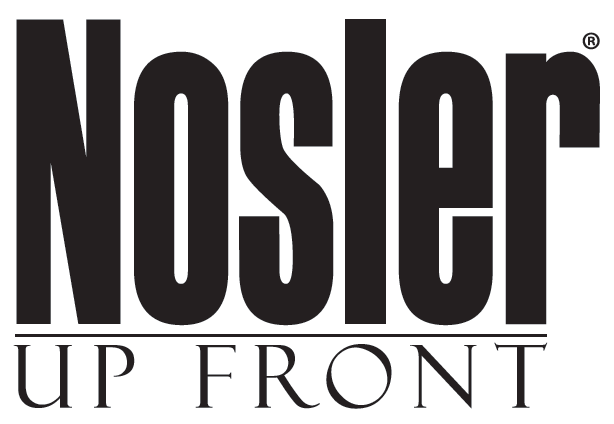 When setting your rifle down, always have the action open and pick a safe muzzle direction such that nobody will be downrange of your muzzle. If you discover that people are downrange, or may be, wait until nobody is downrange and then pick up the rifle and choose a better direction. While on the field courses, the best direction to point rifles is generally at the target array for that station. The competitor may use only one rifle during the course of the entire match. Rifles must be equipped with a sling suitable for safely carrying the rifle muzzle up or muzzle down. All equipment used including, but not limited to spotting scopes, range finders, bags, bipods, tripods, slings, tripods, shooting sticks, gloves, or other shooting support devices, etc are permitted, but must be carried for the entire match (clothing and consumables excluded). Since each competitor will serve as the Range Officer (RO) for the competitor following them, it is essential that they be competent and adequately equipped to spot bullets hits or misses on targets at long range. This requires that each competitor have good binoculars. Each target that is called a "hit" by the RO shall score one point. A "hit" is a bullet that the RO judges to have impacted on the correct steel target plate. The RO's judgment on hits or misses is final and not subject to appeal. However, if the RO has doubt about his call the benefit should go to the competitor. For example, if the RO observes the target move slightly upon a shot, but is unsure whether it was caused by an edge hit or a hanger strap hit, a hit should be awarded to the competitor. Targets not located and/or engaged, targets engaged after time has elapsed and targets missed shall score no points. The competitor with the most points after completing all courses of fire shall be the winner. The competitor shall be completely prepared and ready to begin the course of fire at their assigned start time. Late competitors will be moved to the last start time for the day. The competitor shall start on the course of fire immediately when directed by the Match Staff. The Match Staff may advance the start times if the course is running ahead of schedule and competitors are requested to cooperate in this regard. Competitors are expected to walk directly from stage to stage without excessive rest stops. Those that do not keep up and thus delay other competitors may be required to skip one or more stages and/or fall back as required by the match staff to maintain the match schedule. Competitors will receive no points for stages skipped nor will any match fees be refunded. The trail for each course of fire shall be designated with a specific color of survey tape. The competitor shall follow the trail between stages by traveling from ribbon to ribbon and shall not take any short-cuts. Each competitor will serve as the Range Officer (RO) for the competitor following them on the courses of fire. Each stage shall have a Holding Area. The Holding Area shall be designated with two strips of yellow safety ribbon. The competitor shall not wander about nor advance beyond the Holding Area until directed to do so by the RO. Upon arrival at each stage, the RO will read the stage description to the competitor. When directed by the RO, the competitor will load their weapon then immediately assume the start position. Rifle loaded, with safety engaged, held at port arms. Pack on back with all gear and equipment on your person. Each stage will have one or two shooting positions. Each shooting position shall be designated with a stake, painted mark or other object. At two-position stages, the competitor will locate and engage the 3 targets from the first position, "safe" the rifle appropriately, proceed to the second position, and then re-engage the same 3 targets. 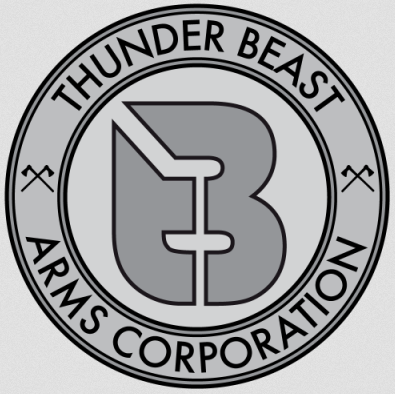 The competitor shall remain within arms' reach of the position designator when engaging targets. If requested by the RO, the competitor will demonstrate that the position designator is within arms reach by touching the spot without moving his torso. The targets for the stage are visible when standing on the first shoot position and looking between the two left/right lateral limit flags or markers. Upon the start signal the competitor shall have a fixed amount of time (5 minutes unless otherwise noted) to locate, range and engage each available target with only one round from each shooting position. All targets will be located so as to be visible from the start position unless otherwise noted. The competitor is responsible to communicate to the RO as to which target he is engaging so that the RO may direct his attention to the correct target and properly observe the shot. After each shot, the RO will immediately advise the competitor whether it was judged to be a "hit" or a "miss". No other information may be provided to the competitor regarding the location of the bullet impacts until the after the competitor has engaged all of the targets for the stage. Upon request, the RO will provide the competitor with information concerning elapsed time or time remaining for the stage. The RO will announce when the stage time has elapsed at which point the competitor shall immediately unload the rifle and demonstrate to the RO that the rifle is cleared of all ammunition. The RO shall then move clear of the stage area to allow the on-deck competitor to be briefed and shoot the stage without distraction. All information and rules subject to change. Be sure to check periodically for any changes. Steel Safari LLC reserves the right to penalize or disqualify competitors that cheat, fail to follow the rules or behave in an unsportsmanlike manner. Note: rules are subject to change up until the match date.